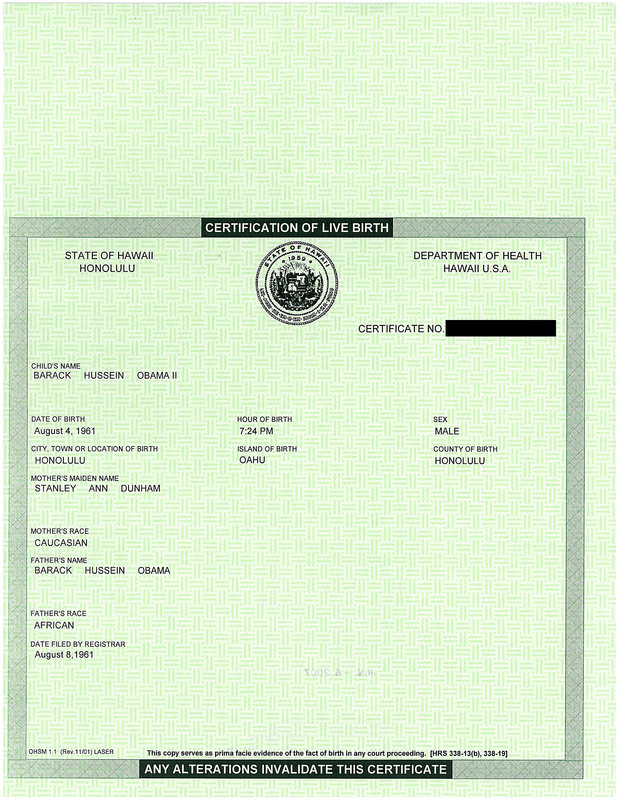 Here we continue the analysis of a A Catalog of Evidence – Concerned Americans Have Good Reason to Doubt that Putative President Obama Was Born in Hawaii by attorney Mario Apuzzo. 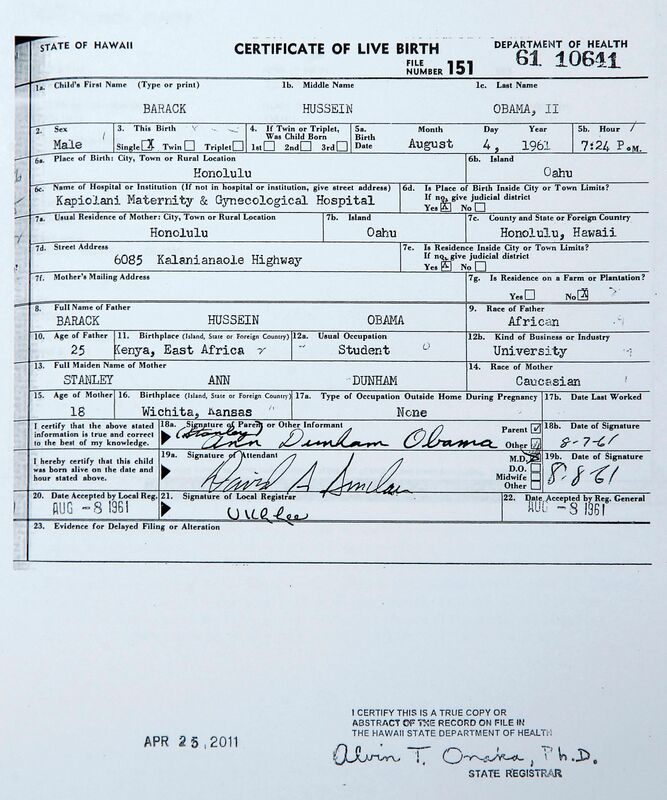 We’re adding up the value of the items in his catalog picking up from Birther math Part 1 with Catalog item number 6. NPR corrected the mistake, but even if not a mistake, the reporter has no reason to know where Barack Obama was born, nor provided any reason to think it was so. The testimony of someone who has no evidence carries zero weight. 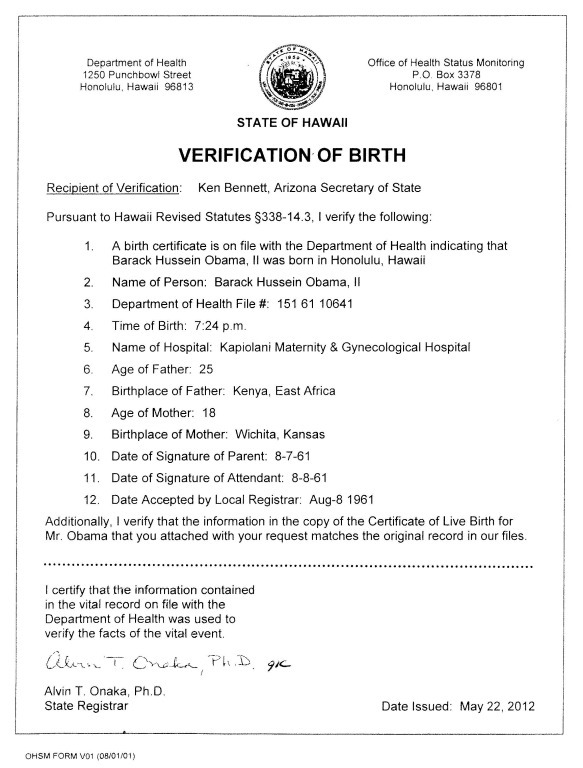 (9) No hospital in Honolulu has yet to confirm that he was born there. Since it would be a violation of federal law for them to do so, this is not surprising. However at the 100th anniversary gala of the Kapi’olina hospital, Hawaii congressman Neil Abercrombie read to the dignitaries assembled, including Governor Lingle, a congratulatory letter from Barack Obama that mentions that he was born there, and the hospital published a copy of the letter in their centennial newsletter. Only that is not true. The Rainbow Edition student newspaper does not quote Maya Soetoro-Ng as saying this, rather it is part of the student commentary. The source of confusion might have been that Kapi’olani was the Queen of Hawaii and a Hawaiian student might have made the association to the wrong hospital (and the wrong Queen). 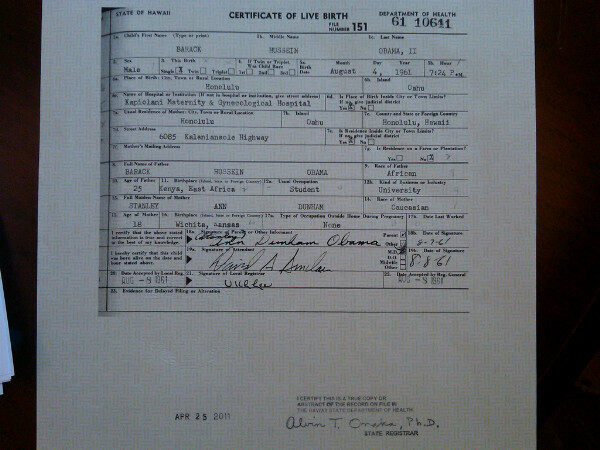 And of course Maya Obama was not even born in 1961. I think Mario Apuzzo should be paying royalties to Phil Berg. Stay tuned for Part 3. I hope my older brother does not run for President. I have no idea what hospital he was born in and barely remember the city. Actually, the only ones, save myself, that I may know what hospital they were born in is my little brother (I was about five at the time) and my grandfather (born in a sod house in Kansas, which is easy to remember). i’d give 1 point number 6. BatGuano: i’d give 1 point number 6. Michelle Obama is not a competent witness. 0. As I pointed out before, Jackie Kennedy and Ireland. Of course, Kennedy was white. As far as basically the Queen’s hospital, this is my understanding of what happened. An editor on Wikipedia stated that it was Queen’s hospital because he guessed between the two major hospitals. He didn’t actually know which one it was, and he guessed. It was later corrected on Wikipedia. 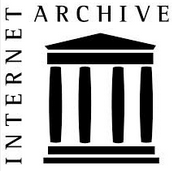 However, during this time, the student probably used Wikipedia to research Obama, and saw the erronious information. He never asked Maya about it. There is nothing unusual or suspicious of an individual identifying themselves and a family member by their ancestry. 6. -1; 7. -1. AnotherBird: There is nothing unusual or suspicious of an individual identifying themselves and a family member by their ancestry. 6. -1; 7. -1.
agreed. i’ve always refered to scotland as the home/mother land….. my dad was FOB from dundee. i just think the good doc should kick down a point ( or half ) because the MO quote is an exact quote. Just going through these one by one 🙂 . The only thing I can really say about this is that I agree that taking Michelle Obama’s statements as evidence that he was born in Kenya is just silly. People talk like that all the time about country of ancestry. I mean, my dad’s family has been in America for more than 300 years now, and some of them still talk about being “from” Scotland. I mean, come on. BatGuano: agreed. i’ve always refered to scotland as the home/mother land….. my dad was FOB from dundee. I think you are missing the concept. The values are based on the totality of usefulness of the argument in a court of law. That is why these all have a value of zero. Apuzzo doesn’t get “partial credit” just because one of his statements comes from an actual quote instead of being complete misleading garbage. Oh my…I guess you saw all of Apuzzo’s other points as so full of intentional deceptions and info taken out of context that you wanted to reward him for actually getting a quote right…LOL! In a way, I guess that just speaks volumes about how completely weak and awful the totalitiy of Apuzzo’s arguments are. Surely Apuzzo gets 1/2 credit simply because Obama is AFRICAN American.